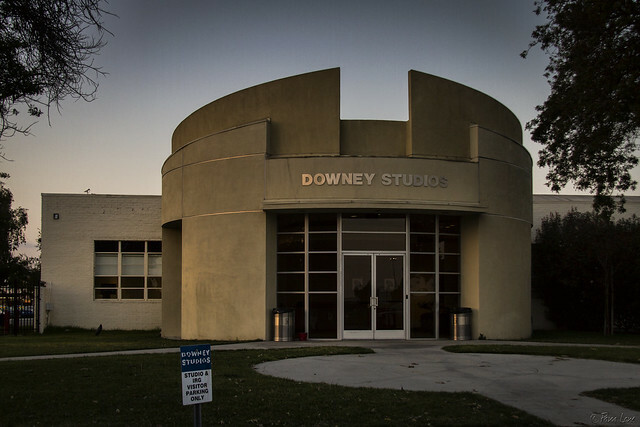 It's past sunset for Downey Studios. This office building is the only evidence (literally, the last sign) of the studio buildings, the rest of which have been torn down to make way for the Tierra Luna Marketplace project. This building, which was part of the original Vultee Aircraft site, will remain as a symbol of Downey's aerospace legacy.